This restored 1738 house interprets the life of poet Susanna Wright, and contains a superb collection of 18th-century decorative arts. 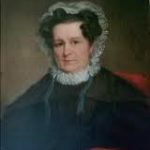 In the Pennsylvania Colony, frontierswoman and poet Susanna Wright became a prothonotary – the principal court clerk – of the colony, enhancing her stature as a legal counselor to her mostly illiterate neighbors, for whom she prepared wills, deeds, indentures, and other contracts. She also served as an arbitrator in property disputes. Susanna Wright was born in Lancashire, England, to Quaker parents John and Patience Wright, who immigrated to Pennsylvania in 1714, and lived for a decade in Chester, Pennsylvania. The Wrights brought their three youngest children – James, Elizabeth, and Patience – while 10-year-old Susanna was left behind in England to finish her education. Sometime during the next eight years, Susanna joined the family, but her mother had died in 1722. In 1724, John Wright visited an Indian settlement named Shawanatown, located along the Susquehanna River, to preach to the Indians. Wright returned in 1726 along with Robert Barber and Samuel Blunston, and the three founders began developing the area. They acquired tracts of land and established permanent homes at what is now the town of Columbia, Pennsylvania, in frontier Lancaster County. By 1728, Susanna, her widowed father, and her brother James had settled there. John Wright received a patent in 1730 to operate a ferry to carry goods and people across the Susquehanna River, and built a ferry house. The name Wright’s Ferry was given to the settlement, and it became well known throughout the Middle Colonies. The ferry was a primitive affair composed of two dug-out canoes lashed together, and the wheels of a wagon or a carriage were placed in each canoe for the trip. When large numbers of cattle were to be moved, a canoe was used and the canoeist led one of the animals with a rope, so that the others would follow. Unfortunately, if the lead animal became confused and began swimming in circles, the other animals followed until they became tired and drowned. James Wright, Susanna’s brother, built the Wright’s Ferry mansion, the oldest house in Columbia, for his family in about 1738. Susanna never married, but managed her father’s extended household, and later cared for her brother James’s family as well. Her surviving letters to a host of well-known contemporaries reveal that she was not only well connected, but also well educated. She was an artist, had some knowledge about medicine and the law, and counseled the local Indians. Co-founder of the settlement, Samuel Blunston, had built his mansion, called Bellmont, on a hill near Wright’s Ferry. When he died in the 1740s, Blunston willed the mansion to his friend Susanna Wright. She lived in that home for the rest of her life – composing poetry, gardening, and raising silkworms – until her death in 1784 at the age of 87. Susanna lived at the crossroads between settled society and the Pennsylvania frontier, providing a stopping place for such travelers as Benjamin Franklin, physician Benjamin Rush, and historian Robert Proud. She engaged in scientific study and civic activity, explored the medicinal uses of herbs, and drafted official documents for her less literate neighbors. 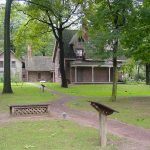 Although she lived on the edge of the Pennsylvania frontier, Wright was able – via books, periodicals and letters – to keep up with political and scientific debates taking place in Philadelphia and London. Benjamin Franklin visited Susanna at her home, seeking her help in gathering supplies for the doomed Braddock expedition of 1753. The pair remained regular correspondents. Franklin sent his friend books, pamphlets and a thermometer from London, and candles made near Chester. 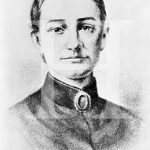 Susanna Wright was an active participant in a network of Pennsylvania poets, exchanging verse with Hannah Griffitts, Deborah Logan, and Milcah Martha Moore. More than thirty of her poems have been located, most of them in Moore’s commonplace book. In 1788, Samuel Wright, grandson of the founder and Susanna’s nephew, laid out the town in building lots and disposed of them by lottery, and named the town Columbia after Christopher Columbus.